The Azores are part of Portugal also. Such beauty. This year we visited Terceira, an island in Azores. After Madeira and the Canary islands, Azores was the third group of islands discovered by Portuguese navigators. 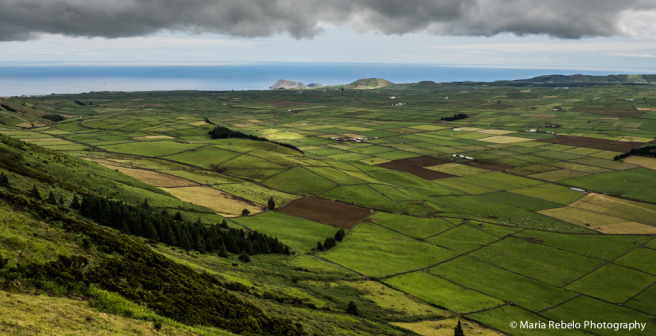 Initially, the Portuguese called the whole archipelago Terceiras (the Portuguese word for thirds), but later they renamed it Azores and reserved the name Terceira for the largest island. Terceira is a perfect destination for a relaxing vacation. There are many beaches to enjoy and hiking trails to explore. Restaurants serve great food for modest prices. And the traditional architecture makes us feel as if we are in a time gone by, when life was simpler and time was not a luxury. Indeed. We need to put it on our itinerary. Always provided that there are not volcanoes. I shall make a note of it instantly. Do you know, when I was very tiny I was terrified of volcanoes and used to have nightmares about them. Oh my. I’m glad you got through it. My recurring nightmare was my grandmother had died. She actually lived to a good 93, but it was scary for a five-year-child. Isn’t it strange the things that worry us when we are small? I shall actuallybe in Portugal in about 2 weeks! I cannot wait! Ohhhhhhh. Lucky you, my dear friend. Where goeth you? I will only be there for one day but I plan on catching the train from Lisbon to Qashqai! Enjoy. And I hope there will be a travelogue. I get that. Rest, friend. Rest… and search for statues! I would play football there. Make sure the ground is not rumbling. Yes. They are volcanic islands. Kinda cool. I’d like to watch one. It is more likely feel it.